Fixed Cafe Awning is a fixed wedge shape, available with or without ends. The frame is assembled on site made from non rusting aluminium. 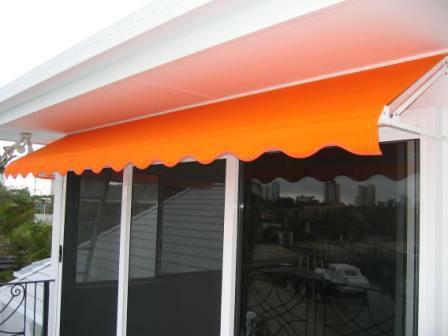 Fabric … Available in Draylon, Canvas, Vinyl or Mesh with a straight or wavy valance to complete this modern looking awning. Frame … Standard frame is clear anodized aluminium which can be powder coated any colour at an extra cost.